ClipperJet Inc. is North America’s premier private jet experience, and it has individual and corporate memberships between Los Angeles and New York. lines and overcrowded commercial flights. Designed for individuals traveling frequently between Los Angeles and New York City, the ClipperJet experience cuts the overall travel time in half while still offering all of the same premium amenities offered by major airlines. ClipperJet employs its own ground staff and in-flight crew members to ensure every passenger’s needs are taken care of during the flight. The aircraft fleet consists of Gulfstream IV (G4) twin-jet aircraft capable of making the transcontinental flight from Los Angeles to New York to in just over four hours. Additional city pairs will be added in the future. ClipperJet is different by design – Members can reserve up to four one-way flights per month and take advantage of unlimited standby travel. ClipperJet is the most cost effective way to travel for entertainers, business persons, frequent travelers and more! “After spending many years in airplanes as both a pilot and a passenger, I am honored to announce ClipperJet Inc. has officially launched the brand and is now beginning to sell transcontinental memberships to what we feel is the real future of private, exclusive air travel,” said James Occhipinti, CEO, ClipperJet Inc. “We know there are several different business models out there for private business jet travelers but nothing like what we’ve created here at ClipperJet. For about the cost of one, round-trip premium flight from New York to Los Angeles, someone can buy a membership on ClipperJet and have twice the amount of flights in addition to access to an unlimited number of 24-hour standby flights each month. ClipperJet has chosen the Gulfstream IV (G4) twin-jet aircraft because of its impeccable quality and safety record in private and business aviation. Each aircraft will feature a custom hand-made interior consisting of top quality fabrics and materials to provide each passenger with a 5-star concierge level of service. The check-in procedures and ClipperJet’s ability to fly faster than commercial airlines can reduce the overall travel time by up to five hours allowing professionals and other individuals to save a substantial amount of time. 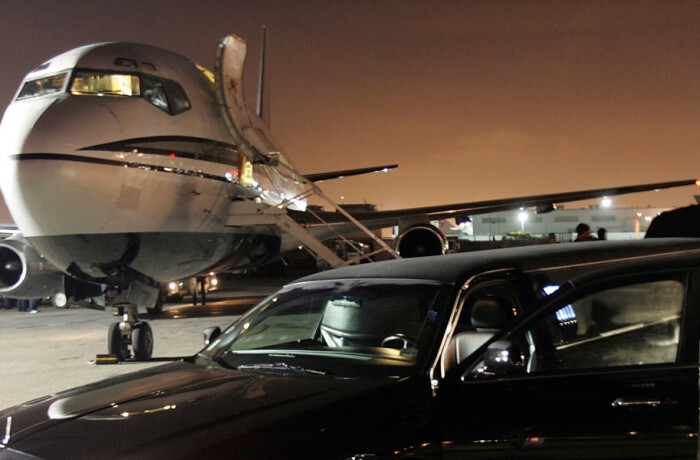 ClipperJet will also offer access to a variety of livery services, including limousine and town car services. The website contains information about the aircraft, in-flight amenities, membership packages as well as several images of the aircraft and their interiors. Founded in 2013 and based in Orange County, Calif., ClipperJet Inc. is a transcontinental luxury travel company bridging the gap between premium-class commercial flights and private jets for travelers flying between Los Angeles and New York. Exclusive membership offers customers the benefits of travel made easy, eliminating wait times, delays and security concerns at a reasonable price point. With this unique and exclusive business model, ClipperJet members are able to experience luxurious bi-coastal travel that is virtually unlimited. For more information about ClipperJet Inc., please visit www.flyclipperjet.com.